The first question that gets up on the home seller way is where to post the house listings? In fact, there are many places where you can post house listings. Newspaper pages, for example. It is necessary to give such house listings only in a local newspaper format, but if the house is located in the metropolis, then you may want to submit house listings to larger publications. After all, many people are eager to leave the provinces and move to a central city. The second no less popular destination for house listings placement is the Internet. Even small towns have urban portals with classifieds boards. Many people look into them for various purposes, including for the purpose of housing search. It does not necessary to place the house listings at the city website only, there are also regional boards, and no harm will be to copy them to the international classifieds website like realtyWW. The undoubted advantage of the online classifieds websites is that it is possible to place an unlimited size house listing with pictures, which will undoubtedly attract customers. As a common saying goes it is better to see once than to hear a hundred times. For comparison, as the response to house listings plastered on poles, people call, but they are rarely potential customers. When a person sees with his own eyes the “product” at the pictures, he develops a more correct picture of the object and calls when he is really interested. But I want to say that for faster sale of property, we should use a plurality of different advertising methods. Also, to find potential buyers, you will need to explore the housing location and to be aware of those people who will be really interested in your offer. For example, if a house is located next to some educational institution, the university, it makes sense to place house listings such a way that its students could observe it. If the proposal is designed for rich and affluent people then place house listings on the boards of hypermarkets, preferably nearby. Now we have understood where to post house listings. How now to make it correctly and attractive? In the future the deal success will depend on how house listings are decorated . Here are the basic rules of making house listings. When compiling house listings, be sure to include the area in which the housing located. House number, total number of storeys of the house, is it panel or brick house. All these details are important to your future buyers, and they will give a broader view of your proposal. After you specify the housing common characteristics, it should go to a more detailed house description. Tell the future buyer what repairs are done in the house. It is advisable to tell more about it, as the standard word “good repair”, etc., can give a dual view of housing. Quality of repair is better to describe with concrete things, such as UPVC windows, whether there is a balcony glazing, the presence of the counters in the water supply, if sold with furniture, what furniture. In general, this should be clearly described. Preferably with the positive aspects. For many people, it is the exciting question “housing environment.” Neighbors, tell a few words about them, courtyard – engage also this topic in your house listings, infrastructure close to home (kindergartens, schools, shops, bus stop). All this helps to attract the buyer attention. When placing house listings on the internet resources, it is not necessary to save space – write a housing description in full, abbreviated words will give the opposite effect from the desired. When it comes to paper, where the size of the house listings is important, you should only specify the most significant – the main characteristics of housing, without affecting the details. We need only to tell about the positive side of housing. However, one must be careful not to exaggerate or invent. We advise you to talk about the benefits of the house, mentioning in passing the shortcomings of it, or to remain silent, but you should not exaggerate. The first sentence of house listings is a kind of header that can attract the buyer, or to push him away. So make the first sentence with the utmost seriousness, luring the reader’s attention, and perhaps of the potential buyer. Do not mention the word “urgent” in the house listings because this word is associated with poor quality, or hoax. When you specify that you are willing to bargain, some may think that you initially inflate the price. Therefore, you should avoid these two common words. Be sure to show, if available, that you are ready to conduct the deal. You can do this by mentioning that all documents are on hand, you are the rightful owner, etc. A lot of controversy going on about whether it is necessary to specify the price in the house listings. Let us think logically. If the price is not specified, the person will be in confusion. By calling you and finding out what the price is not acceptable to him, he will have to somehow get out of this situation. In addition to all this, you will come with a heap of calls from people who are not potential buyers. Therefore, you should specify the price in the house listings. In order to sell the house quickly and at a higher price, not to fall for the bait to the fraudsters, you will need to make a competent house listings. In fact, there are many places where you can post house listings. 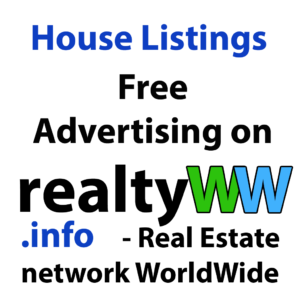 This entry was posted in Real Estate Advertising and tagged Free Advertising House, Free House Ads, Free House Advertisement, Free House Advertising Online, Free House Listings, Free House Listings for Sale, Free Real Estate Listings, House Advertising, House Listings, House Listings for Rent, House Listings for Sale, House Listings Free, House Listings Online, International House Listings, International Real Estate Listings, International Real Estate Listings Free, Listings, Listings House, Listings Real Estate, Online House Advertising, Online House Listings, Online Real Estate Listings, Post Real Estate Listings, Property Listings, Real Estate Agency Listings, Real Estate Agent Listings, Real Estate Company Listings, real estate listings, Real Estate Listings for Rent, Real Estate Listings for Sale, Real Estate Listings Free, Real Estate Listings Online, Real Estate Listings Website, realty listings, Where to Post Real Estate Listings for Free. Bookmark the permalink.